LondonJazz News: The internet has a lot of information about your CD, and your gig at the Pheasantry, but background information about you is rather thin on the ground. Can you tell us a little bit about yourself and how you discovered jazz? Wendy Kirkland: I’ve been a pianist since childhood. All the classical grades. I was influenced by my dad who played in clubs in the area. I wanted to play the piano to be like him. My dad did have a few jazz albums, mostly pianists — Nat King Cole, a British pianist called Roger Webb. One of the things that made me want to play this sort of music was when dad came home with transcription books of Dave Brubeck. I read these and played them but I realised that Brubeck was improvising, he wasn’t working from written music. I got an Oscar Peterson album, We Get Requests. I used to play it and listen to it, but I couldn’t work it out because it went by too fast, and I couldn’t slow the record player down! LJN: That’s what musicians used to do in the days of 78s, they’d slow them down so they could work out what was going on. WK: Well, I couldn’t. I could work out some of the slower passages, though. I went on to play in local clubs. mostly local pop cover bands. Then I was playing in a '70s disco band in Nottingham. The drummer in that band had jazz aspirations, too. I found out about the Sheffield Jazz workshop and I started to go there on Saturdays. I went there for about three years. They have three groups. Once you’ve reached the advanced group you either become a perpetual workshop-goer or you get a band together and start doing your own gigs. So that’s what I did. LJN: How did you begin singing? WK: I’d sung at school and in choirs but I’d never sung while playing the piano. I was doing this gig with a guitarist when someone came up and requested a Diana Krall song. I said, “Sorry, I don’t sing.” But the guitarist said I really should. I owned a couple of Diana Krall albums, but I’d only really thought of her as singer and not a pianist. So when I realised she did both so well, that was an inspiration. Then Eliane Elias was another pianist who turned to singing. Then of course there’s Shirley Horn. The singing just sort of developed. It was my husband Pat’s idea to get the band together and do the album. We’d always talked about how much we enjoyed singer pianists. Not just the ladies either. Peter Cincotti and Ben Sidran, too. LJN: You specifically reference great female pianist/singers such as Nina Simone and Krall. Do you have any other jazz heroes? WK: Yeah, loads. Oscar Peterson. Nat Cole. Herbie Hancock, even his weird existential stuff. You can always feel the jazz influence coming through. And he always had the latest keyboards, which I loved. I’m a bit of a synth nerd, I’m really into that. I love the sounds of old synths and old keyboards. LJN: The songs on the CD are radical and very refreshing in the way you reinterpret classics. It’s Not Unusual has a leisurely bossa feel and My Baby Just Cares for Me is a catchy, casual, relaxed medium-tempo take on the celebrated Nina Simone original. Do you put a lot of thought into breathing new life into such standards? WK: It’s thinking of a way it hasn’t been done before. My Baby is a take on We’re in This Love Together by Al Jarreau. It’s got a sort of smooth shuffle feel. And it intertwines with the Al Jarreau track at the end. Both Pat and I really like Jarreau. LJN: When you revamp and enrich classic songs the way you do, you’re moving beyond performance into arranging. Do you regard yourself as an arranger? WK: I think so, yes! It’s not something I’ve done lots of. It’s about fifty-fifty on the album, me and Pat. Just because we wanted to do the songs our own way. I loved doing that. And the writing as well. We included some originals. Bahia was based on a chord sequence Pat had come up with on guitar in Portugal years ago. Samba Chica is one of ours, too. Tania Maria is somebody I really admire. She does a lot of scatting, so that track was sort of a tribute to her. LJN: The album has been picked up by Discovery Records. Has that helped raise the profile? WK: Definitely. I think they’re responsible for that 4* Observer review. When reviewers get a CD from a distribution company instead of from musicians direct, it just gives it that much more weight. The album is good and we enjoyed making it, but the idea of doing it was to get more gigs. To me the end result is performing. Performing is everything. We’re looking forward to building on the exposure and publicity, getting some great gigs, hopefully at major festivals, here and worldwide. That’s the goal. 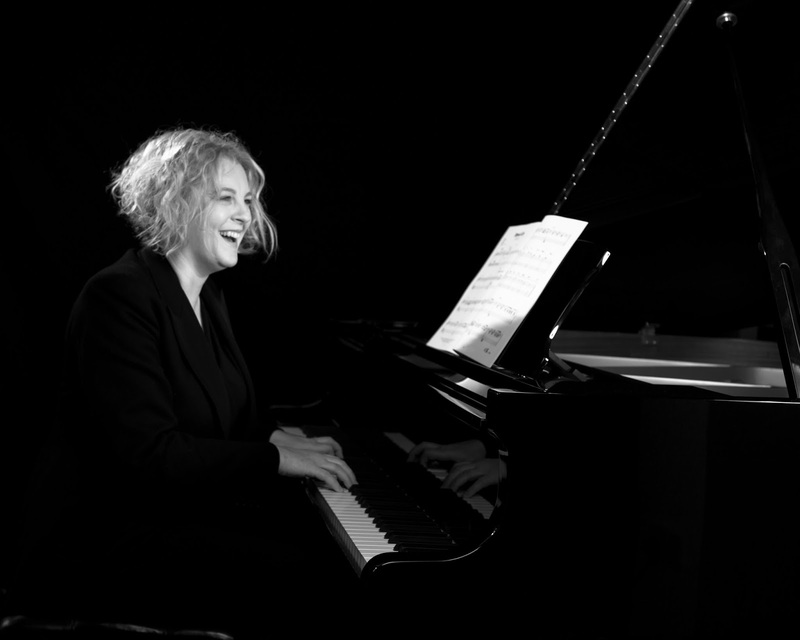 Wendy Kirkland is performing music from Piano Divas at the Pheasantry at 8.30pm on Saturday 25 November 2017.